the thoughts of others thoughts of others. I don't think many people can understand the way I think and the roar in my ears. it would be nice if someone did understand it. I guess I am bemoaning my birthday . A moments pause, a ripple,who is out there? I should be able to feel you. Sometimes I do. I am thinking about Mike Moalloy and his struck sadness, I hope he, Kathy and Molly will go see this band in Athens.It could bring out his joy rattling his bones around to music. Molly would like it too. Summary: "The thermosphere", the layer of Earth's atmosphere that meets space, recently collapsed and is now rebounding again...and we don't know why. 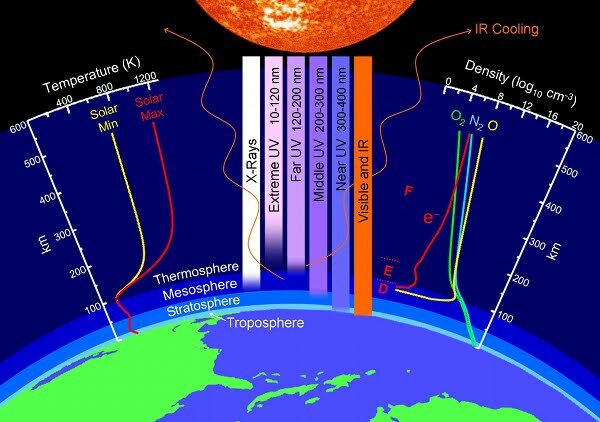 The thermosphere is important because it shields us from the Sun's Extreme Ultraviolet Photons. (Seperate multiple emails with a comma).